How to Have the Perfect Holiday Ham! One of our family traditions is to have ham for our Christmas dinner, and then hopefully we have enough ham slices as leftovers for small sandwiches for New Years Eve! But there were a few years that we didn’t cook a ham. Because I was reading labels when I started on my quest to cook and feed nutritious food for my family and didn’t like what I found in the store. A portion of ground pork added? That’s not a ham! Water added? Why do they add water? What else do they add? Not liking what we found in the store, we raised our own pigs and knew what our hams contained. And the taste! So much better than what you can find at the grocery store! So, the first step to having the perfect holiday ham is to purchase from your local farmer/rancher! 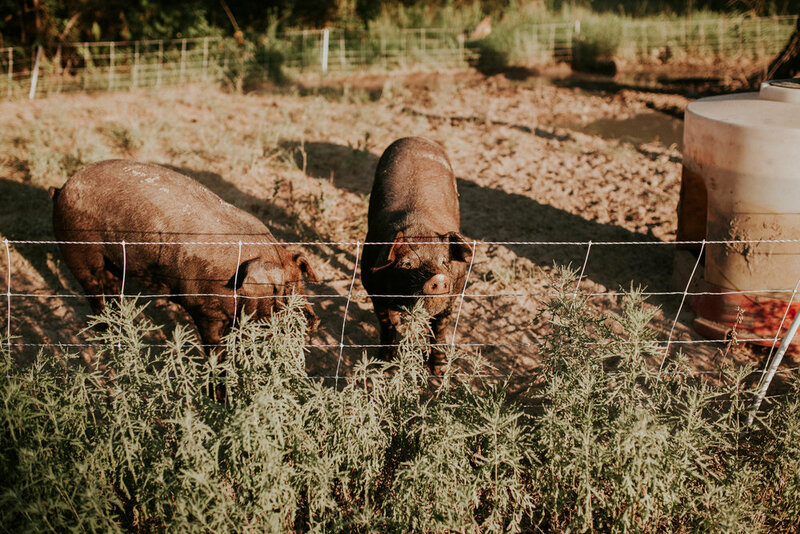 The second step is to make sure that the farmer/rancher gives the pigs 24/7 access to the outdoors, preferably on grass (which will eventually be mud because they are pigs!). Most of the hams you find at the store are from pigs that have been confined in a ‘barn house’ and don’t see any grass or mud for that matter. A pig in confinement doesn’t get much exercise. A pig on pasture will get plenty of exercise, and their by utilize their muscles. When you see a pasture raised ham versus a store purchased ham, you’ll see the difference in the meat! The third step in having a perfect Christmas or New Year’s ham, is to cook it to perfection! To do that, you can use this Honey Glazed Recipe or you can use this new recipe that a friend just shared with me. It works so well, that I just had to share it with you! I just might have to cook two hams this holiday season: one for Christmas and one for New Years using each recipe! Good thing I have a freezer full of hams! And, if ham is not on our Christmas menu, remember this recipe for when do you want a moist and delicious ham. Wishing you a joyful and healthy holiday season!